Video still from Iran TV of IRGC-AF Su-25UBK armed with two Bina ("Sighted") air-to-surface missiles (ASMs) mounted on inward wing pylons. Associated by Iran TV with Rainy MRBM launch, a liquid-fueled MRBM closely resembling Shahab-3/Ghadir series of ballistic missiles. 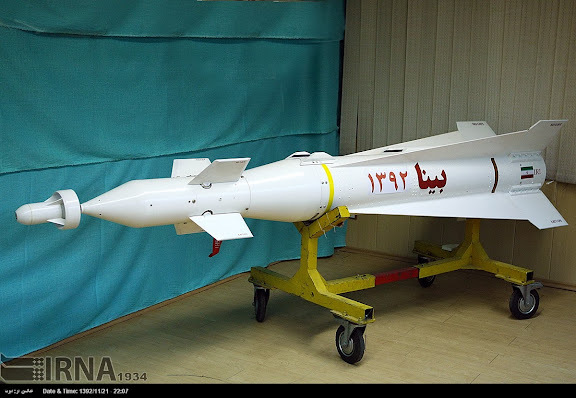 Reports circulating describe Iran's president attempted to halt or suspend this MRBM launch presumably to assist current IRIG executive branch driven efforts at rapprochement with West. I like the moderates in Iran, I really do. But isn't rather clear that they choose to move to the extreme opposite sometimes? Why should rapprochement with the West mean Iran has to halt its military progress and defense achievements? Now we know where they got the idea from for the "rainy" MIRV's! In that everyone should give up their defence and surrounder!. If you have half IQ the point is deterence. That is, it is going to make it costly for this first World power to attack Iran. Once they do a simple cost/benefit analysis they will know there won't be any net gain. What makes you think that these are for defense against first world Air Force? Last time Iran went to war was Defending against the crazy Saddam and Iraq. And Iran has been attacked by its neighbors more often than you think. How dumb are certain people that they think Iran needs anyones permission. 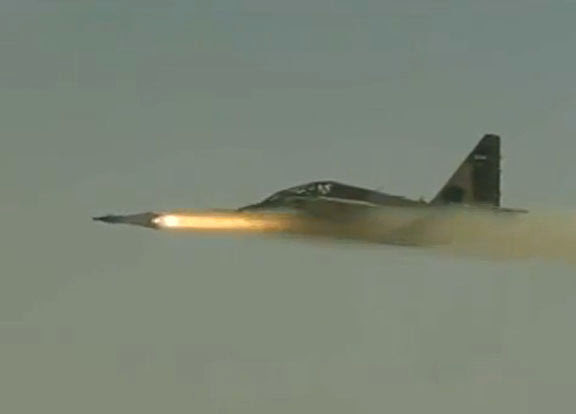 Iran is already flying military aircraft. Too late for your ego. That is correct, but there are barely 13 SU-25 Frogfoots that are operational and that is barely a squadron. Iran has been unable to procure any modern aircraft since 1992 (24 MIG 29 from Russia as any more were scuttled by the drunk idiot Yeltsin due to US pressure). Iran really needs some active diplomacy to upgrade its antique airforce or it will be history as even Bahrain has modern F-16. The illiterate fleecing mullahs have been bluffing their way and luckily the US morons got bogged down in two destructive wars in Iraq and Afghanistan and could not attack Iran in the last decade. However, Iran now has a window to work out some deals with Russia as the Russians themselves are now US target via Ukraine and Putin is in US gunsights after his refusal to kow tow to US over Syria. Some Su-25s are also operated by the IRIAF. Why the notation in military seems the same as 50 years ago? I am no expert but these days the idea evolves arounf flexible deterrence. An aircraft at $200M per unit has a limited shelf life and reeally limited use with a human pilot. The new strategy seems to align with drones and missiles that are fired and effectively forgotten. What value an aircraft has these days when I guess drones and missiles can do the same. Both require less investment and maintenance, rather than byiubg and keeping like the ones in Iran for 40 years. What those Bahrain F-16 can do against a well prepared air defence with missiles destroying their air field in taht tiny Island before even take off. a dozen missles from Iran will practically destroy any infra-structure in Bahrain before much damage by those F-16s. As I said I am no expert on the matter but the classic approach to hardware does not make sense anymore to me. The Air force will have to wait some time, however recent development in the world, created situation where the Islamic Republic has gained additional protection, because events in Ukraine prompt Russia to plan and further defend her position, by keeping the West's influence out of her remaining friendly neighbours. As long as the crisis in Ukraine is not solved, then the West has tied its hands for any action against Syria and to other ................areas. Finally, like it was stated in previous comments, the Russia knows, that losing Iran to the West's military influence, would translate a commencement of Russia's demise. It will be correct to say, that the lack of sufficient numbers of attack airplanes in the Iran's Air Forces, is compensated by numerous and sophisticated arsenal of its missiles. 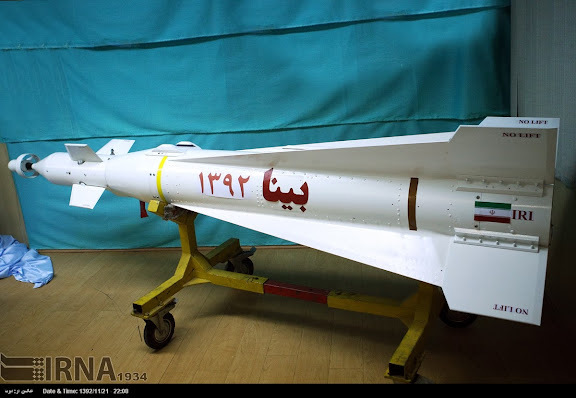 It would seem logical that the missile could be quite easily fitted to the air forces su-24.. most of the new equipment passes by IRGC hands before the Artesh is granted the funding to build a few of their own. A disappointing prejudice done to some of the countries most effective/professional assets IMHO. 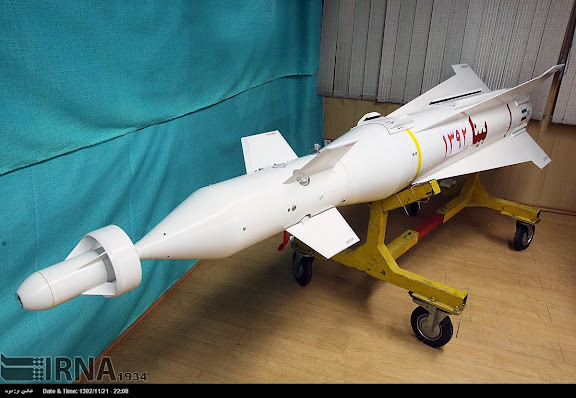 This cruise missile is the first one Iran produces which can target land position. No matter how precise Iran TBMs really are, this is an important footstep. 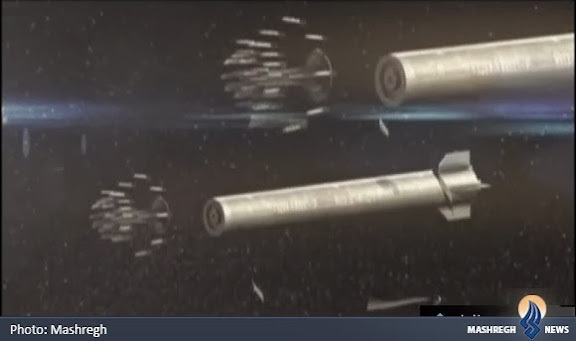 Lol now I can't wait to see the other cruise missile they had announced.. The one with more range then their ballistic missiles, the ability to track moving targets, and its emission of no exhaust other then rainbows! the Su-25s are 45 year old planes that belonged to Saddam and which the Iraqis wouldn't send into combat against the US because there were useless deathtraps 10 years ago. Not so. 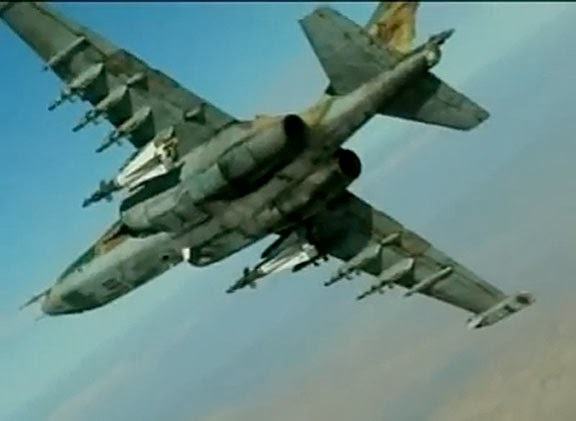 Iraq received Su-25s during the Iran-Iraq war. 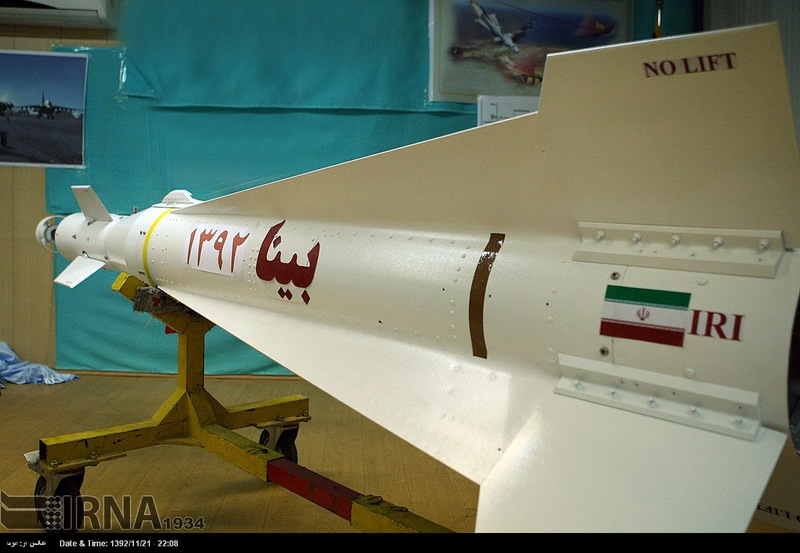 Iran not only acquired some of those in 1991 but, it also received a number of new examples in 2003. 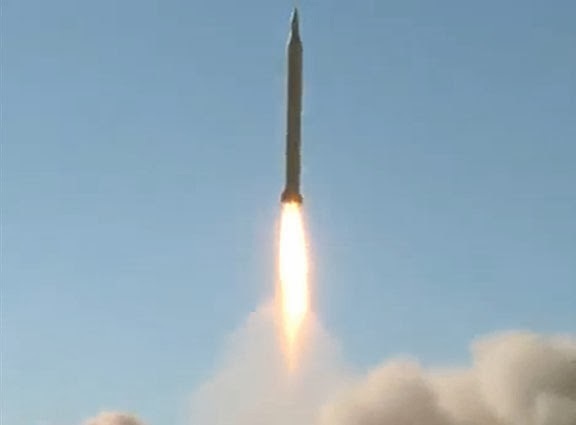 I doubt Iran has MIRV capable missiles. "Rainy" actually refers to cluster warhead.